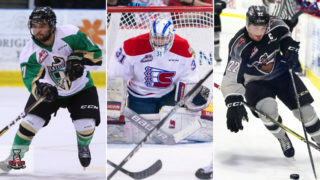 Lethbridge, AB – After running into two hot goalies in their last games, the Prince Albert Raiders (24-25-9-2) had their offence break out in an 8-2 win over the Lethbridge Hurricanes (29-25-6-0) on Wednesday night at the ENMAX Centre. The Raiders snapped a mini two-game slide as they opened their Central Division trip with a win. It didn’t take long for the Raiders to get on the board. Just 16 seconds into the game, Brett Leason pounced on a loose puck in front of the Hurricanes net and made it 1-0. Two minutes later, Regan Nagy forced a turnover deep in the Lethbridge zone. Justin Nachbaur picked up the puck and set up Sean Montgomery with a tap in goal to give Prince Albert a 2-0 lead. Scores! @Smontgomery11 increases our lead after Nagy forces a turnover. Nachbaur collects the puck and feeds Montgomery. With 5:26 remaining in the first, the Hurricanes cut the lead in half. Jadon Joseph beat Ian Scott when he was left alone in the slot. Before the end of the period, Nachbaur restored the Raiders’ two-goal lead. He redirected Montgomery’s centring pass past Reece Klassen to put the Raiders up 3-1 after the first period. The Raiders kept scoring in the second. Curtis Miske took a pass from Cole Fonstad between his legs, split the defence and slid a backhand shot under Klassen for his 20th of the year. Scores! The Captain @C_Miske91 with a beauty! 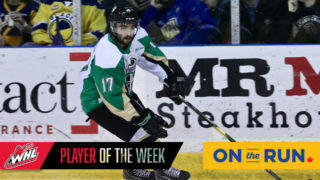 Later in the frame, Fonstad got in on the action when he dangled around the blueline and beat Klassen from the slot to give the Raiders a 5-1 after 40 minutes. In the third, Kody McDonald scored his 30th total goal of the year – and 11th as a Raider – when he tipped Vojtech Budik’s shot past Klassen. Twenty seconds later, Nachbaur notched his game with a shot that ended Klassen’s night. Lethbridge’s goaltender made 20 saves in just under 45 minutes of action. Sergei Sapego rounded out the scoring for the Raiders with his second goal of the year and first since returning from injury. Keltie Jeri-Leon scored the Hurricanes’ second goal with 8:12 to play. With the lopsided score, the penalty minutes began to pile up in the third period. 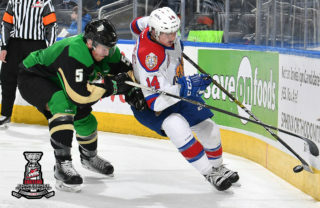 There were 124 penalty minutes assessed to the two teams in the third alone. Scott made 35 saves to pick up the win for the Raiders on the evening, including all 19 in a busy second period. 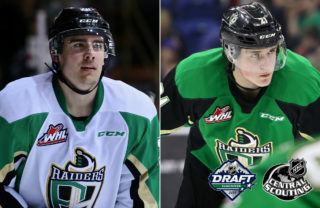 The Raiders return to the ice on Friday night when they visit Red Deer to tangle with the Rebels. Puck drop is 8 p.m. CST. 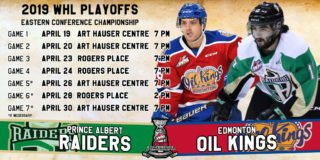 The next Raiders’ home game is on Tuesday night when the Brandon Wheat Kings make their final trip to Prince Albert. 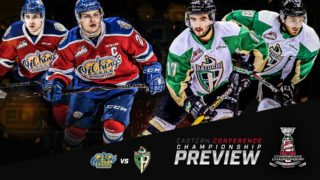 Game time is 7 p.m. Tickets are available at raiderhockey.com, the Raider Office, or by calling 306-764-5348.